Register by April 1st for a $15 discount per camp! Discount will be applied automatically during registration. 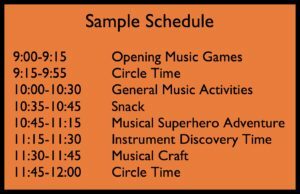 Use your superpowers as we explore the world of music through superhero themed songs and activities! Get to know all about different instruments and musicians! Don’t forget your cape! All children are welcome to register, and acceptance is not based on musical experience. Welcome to the musical zoo! We will explore the instrument family with the help of Camille Saint-Saen’s Carnival of the Animals. Get ready for a musical adventure! 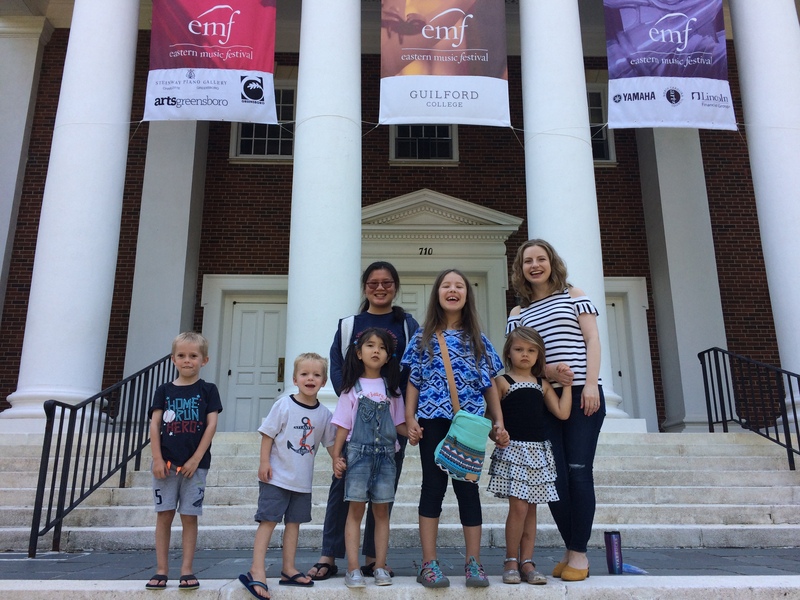 **Early Drop-Off option is available for camps offered at MANC (excludes Explore Music at EMF at Guilford College). For a fee of $25, campers can be dropped off Monday – Friday at 8:00 AM instead of camp start time at 9:00 AM. Must register in advance of camp. Register for EARLY DROP OFF. 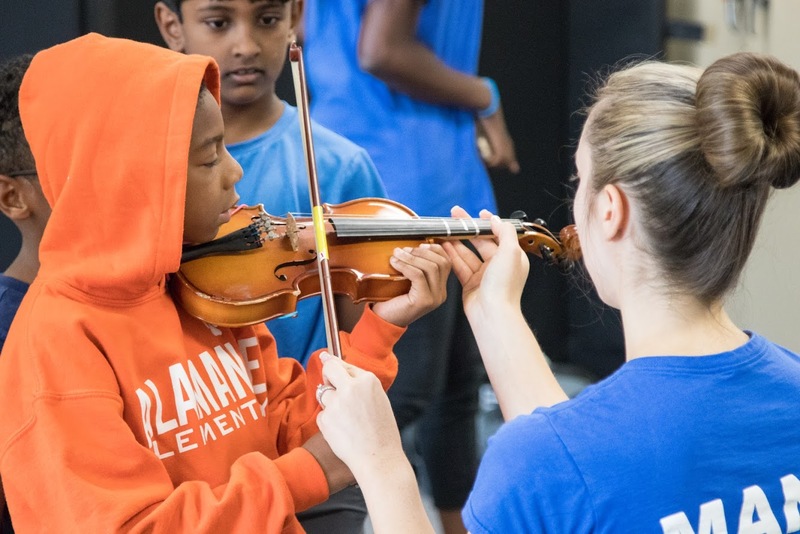 Explorers receive an introduction to classical music and the orchestra through hands-on learning. 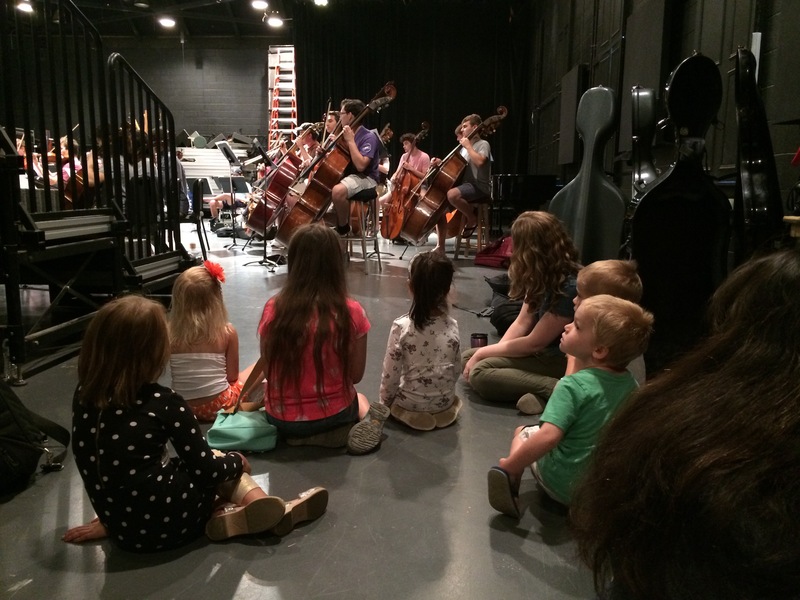 Experienced instructors provide a kid-friendly and creative approach to music through instrument demonstrations, orchestra rehearsal visits, making and playing instruments, singing, and engaging activities with melody, harmony, and rhythm. Campers will be up-close and personal with some of the nation ’s top student orchestral musicians. A once-in-a-lifetime experience! Includes 2 tickets (1 student and 1 parent) to an EMF concert! *The first four days, Monday–Thursday, are held on the Guilford College campus. 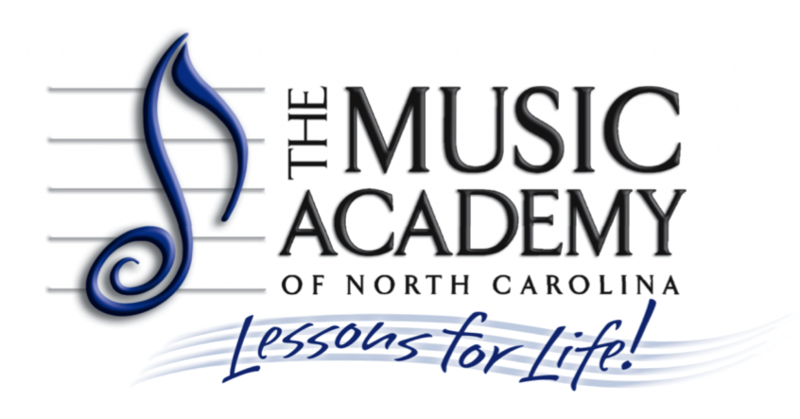 The final day (Friday) is held at The Music Academy of North Carolina. Each camp has limited enrollment on a first-served basis. Register early to avoid disappointment! Please keep in mind, a camper is not registered until payment is received. 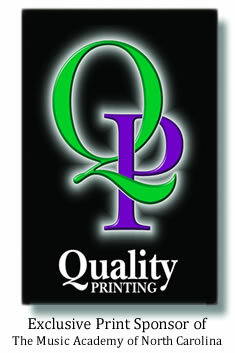 Credit card online payments are processed immediately. If paying by cash or check, submit registration in person at The Music Academy. 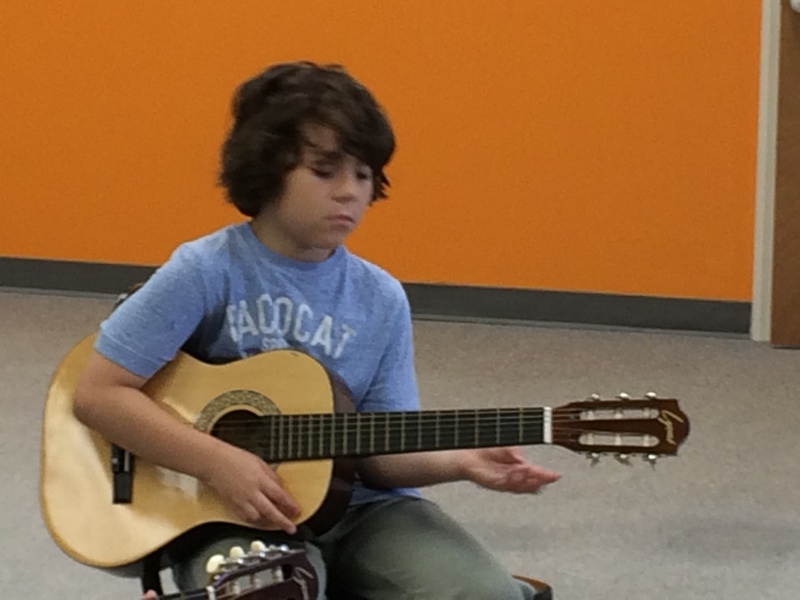 Camps for rising 2nd-5th graders are an excellent opportunity to explore musical interests. 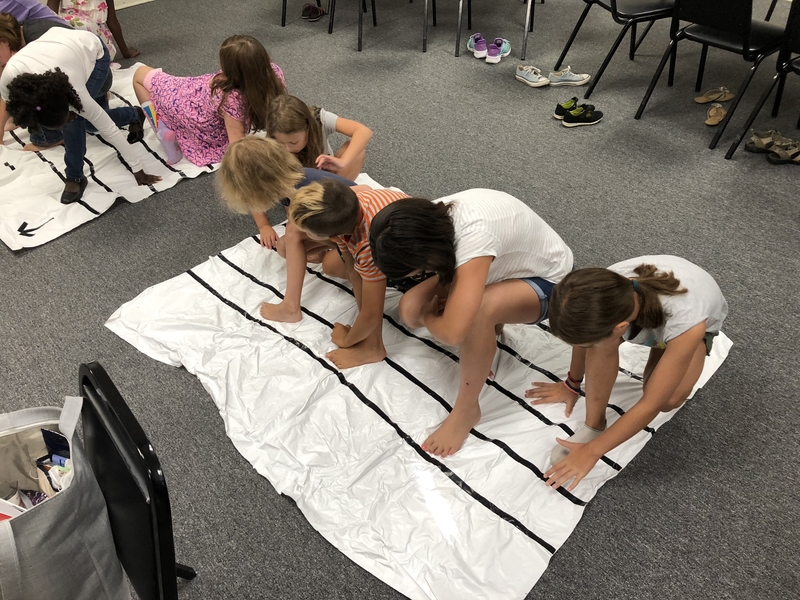 Each week of camp includes a variety of large and small group activities designed to learn about music in a fun way. 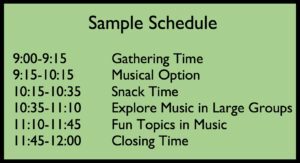 Campers attending camp the week of June 24th and July 22nd should choose a first and second choice theme – a musical option from the list below – and each day will include breakout sessions to “dig a little deeper” into their choice theme. Are you ready to rock? Learn the basics of guitar and drums and make your own sound recording. For beginners. 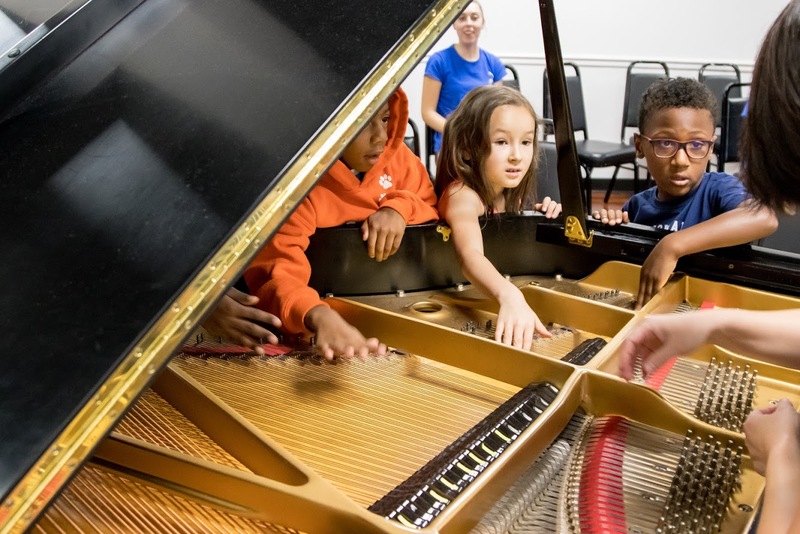 Spend the week at camp learning beginning piano basics in a group setting. Learn the basics of good hand position, basic reading skills and how to find and use different resources to learn to play many styles of music for the piano. 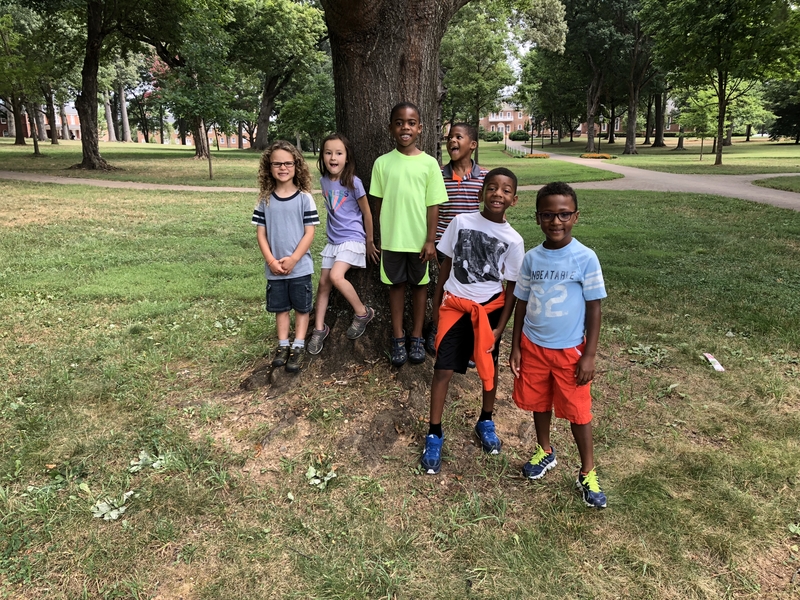 Spend the week at camp learning beginning violin basics in a group setting. 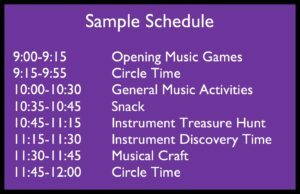 Bring your own instrument or borrow an instrument from The Music Academy for use at camp. Learn about bow and left hand technique as well as the basics of music reading. 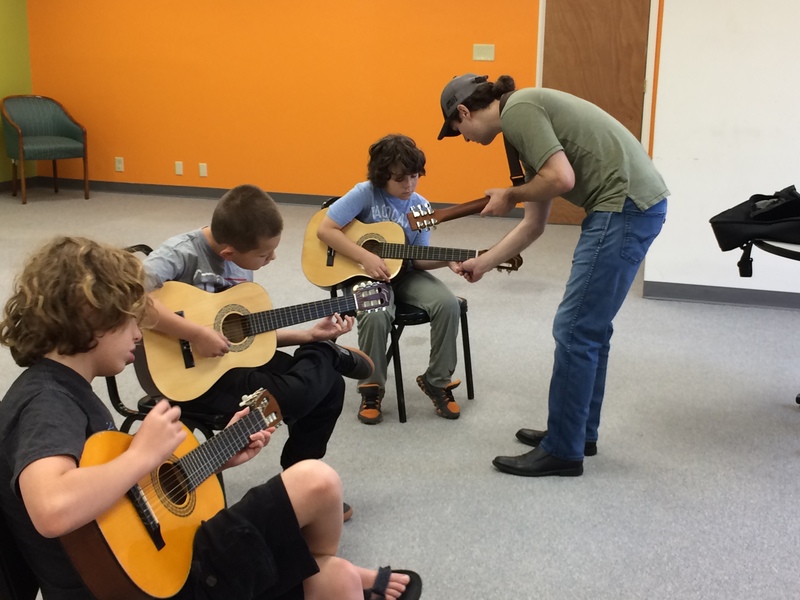 Spend the week at camp learning beginning guitar basics in a group setting. Bring your acoustic or electric (and amp) guitar. Some guitars may be available for use during camp. Learn the basics of good hand position, basic reading skills and how to find and use different resources to learn to play many styles of music for the guitar. Wanting to sing somewhere other than the shower? 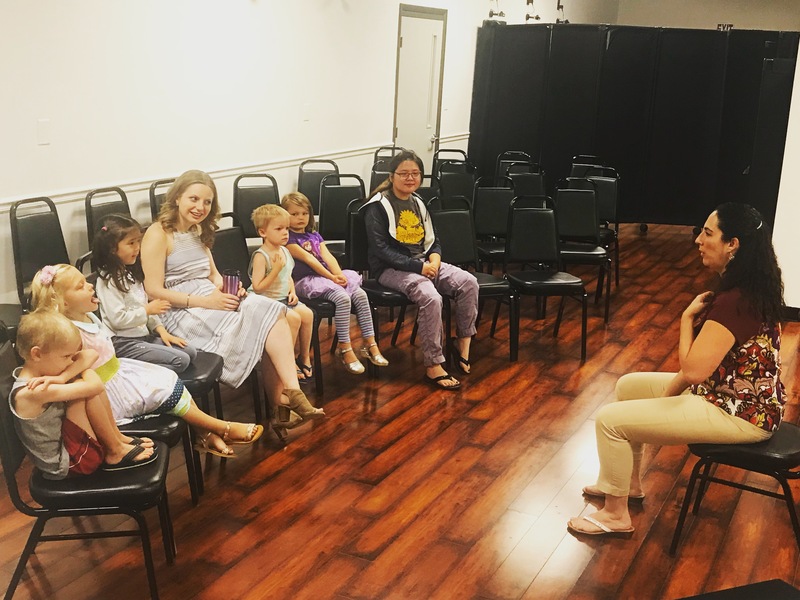 Learn the foundations of singing in a fun collaborative way! Classes will include the basics of vocal technique and reading music. For beginning and more experienced vocalists. Explore making sound effects and record them! The week will culminate with a presentation of effects and music with a scene from Jurassic Park. 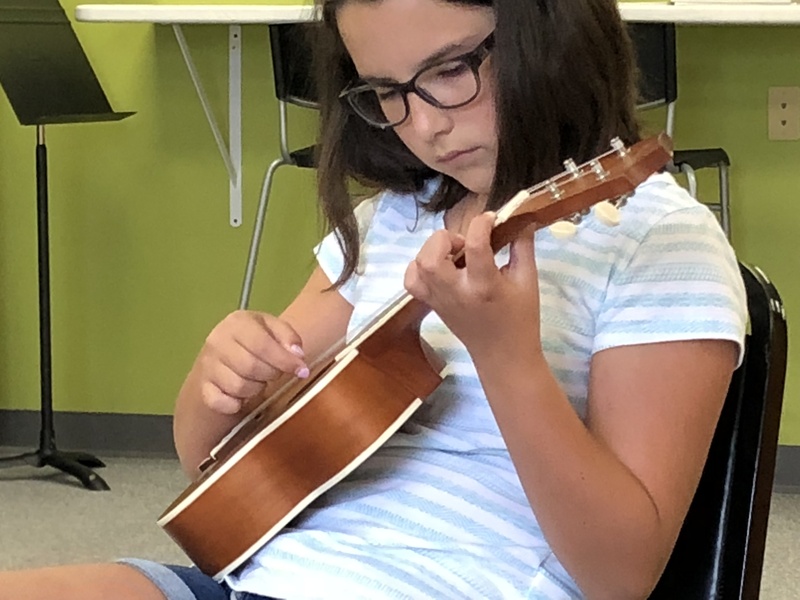 Spend the week at camp learning beginning ukulele basics in a group setting. Learn the basics of good hand position, basic reading skills and how to find and use different resources to learn to play many styles of music for the ukulele. Please bring your own ukulele – they can be purchased for a reasonable price here. The perfect option for students interested in music but not yet sure what they’d like to study. Explore a different instrument every day of camp! Instruments include piano, guitar and violin. All instruments provided by The Music Academy. Explore music theater with the music of Hamilton! Learn the foundations of healthy vocal technique and dive into some great songs from both traditional and contemporary musical theatre! For beginning and more experienced vocalists. Explorers receive an introduction to classical music and the orchestra through hands-on learning.Experienced instructors provide a kid-friendly and creative approach to music through instrument demonstrations, orchestra rehearsal visits, making and playing instruments, singing, and engaging activities with melody, ha rmony, and rhythm. Campers will be up-close and personal with some of the nation’s top student orchestral musicians. A once-in-a-lifetime experience!